My family and I have eagerly awaited the Paralympics games as it is the first opportunity for us to watch a prestigious sporting event that involves people with Poland’s Syndrome, just like my son. We met some great people with Poland’s at the Poland’s Syndrome Support Group family day last year, but he was under 3, so i’m not sure that he remembers there are other people with Poland’s Syndrome. He wasn’t awake for the opening ceremony, but i watched it in its entirety and I was emotionally overwhelmed by how it made me feel about my son and the word disability. I have honestly never considered him to have a disability, yes he a small left hand and a missing pectoral muscle, but we have never had to make any real adjustments to his life because of this. 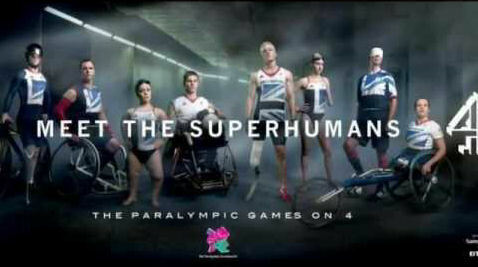 Before my son I associated the Paralympics with disability, this will never be the case again, now it will mean super humans and amazing achievements. I’m no longer afraid of the word disability and its association with my son. I could barely hold back the tears when we talked about how Kevin has a small hand just like him and he smiled and began shouting ‘Kevin Paul Win, Kevin Paul Win’. Share with us your highlights so far and what the Paralympics have meant to you and your family. Congratulations on your first ever real post Sam, and what a post to start with such a beautiful story. Thank you for sharing this with us. Thank you Sam. I am helping Kevin with his PR back in South Africa and he will be delighted to know that he has had such an impact on your son at such an early age. We are grateful for your support and look forward to following your son’s achievements. Thank you so much.As Kevins parents like you we never treated him as a child with a disability.Kevin is an inspirational young man and has reached every goal in his young so far.Kevin was the gold medal winner in the 100 breast stroke in Beijing in 2008.He specialises in breast stroke and his main event is at 17h30 (UK time) on Saturday the 8th September.He currently holds the world records in the 100 and 200 breast stroke and 400 Individual medley.Unfortunately london does not offer the 200 breast or 400 IM. Please stay in touch and encourage your young man to participate in as many sports as he can untill such time he decides on the special one. Mervyn and Katharina, thank you so much for taking the time to visit the website and read my post. I dreamt that Kevin might read it, but I am so pleased that you have got in touch, its great to hear from other parents about how they have handled Poland’s and it really helps me plan for the future with my son. I will definitely get him trying sports and would love him to find a special one. It would be great to know more about how Kevin found swimming and at what age. I will definitely keep in touch, thank you again. Carol-Anne, thanks so much for getting in touch, I am loving all of your updates on Kevin’s progress, don’t want the games to end!